The Effects Master VHO from Wildfire is the most powerful​ fluorescent black light​ on the market, featuring proprietary, high output electronic ballasting and polished Everbrite reflectors. 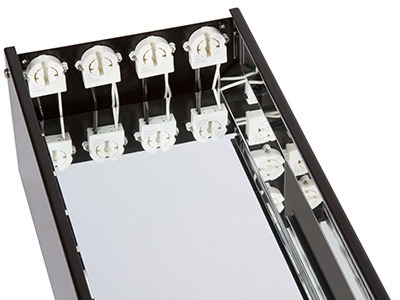 This four-lamp powerhouse produces up to an incredible 2,280 μW/cm 2 of true 365nm black light. The ideal choice for commercial and industrial use. If you need to cover a large area for the lowest possible cost, the Effects Master VHO is the solution. 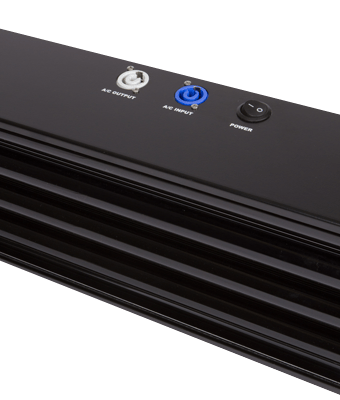 The electronic VHO ​(Very High Output) ballast, among other features, is what’s responsible for such awesome output. 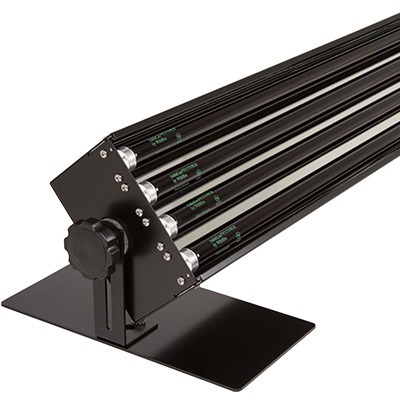 It overdrives each of FOUR lamps up to 80W, giving you 320 Watts of raw black light power.